Our Farmhouse Kitchen Remodel is coming along! I shared in Part One the details of our plan for the Remodel and Demo Process. Part Two focused on how we built a Pass Through from the Dining Room to create more light in our kitchen. In this post, I’m showing how we turned a tiny Kitchen Desk area into a Coffee Hutch as well as a sneak peak at how the remodel is turning out. Next to the refrigerator is a small little desk niche. It’s tiny. Like “too small to sit there unless you are a child” tiny. You can see that the previous homeowners used it to house their microwave. It was dark and uncomfortable sitting next to the fridge like that! I can’t imagine it being an effective desk area in it’s original plan. The problem is the unused possibility of storage under the drawer where the chair is supposed to go. I hated to see that go to waste. I organize my kitchen into zones and it makes perfect sense to have the drink zone next to the fridge, so keeping the shelving for our glasses, I decided this would be a perfect area for a coffee bar! One option was to rip it out completely, but that would mean addressing the floor, and we weren’t quite ready to tackle the kitchen floors just yet, so we thought we would repurpose this piece to have it look as if it were a stand alone piece of furniture–like a small hutch. We were left with loads of unused flooring from our Hardwood Install. When you use Cabin grade flooring, you are getting the seconds, which includes pieces with knots, holes, and mis-cuts. To me, it looked like a huge pile of pallet wood! First we ripped off the faux butcher block countertop. There’s that nosegay wallpaper again! See that little outlet under the counter? I got all kinds of excited thinking how I could put my drip machine that I use the most on my counter and build a shelf under the drawer to have my Keurig plugged in ready to go! 2 COFFEE MACHINES IN TANDEM! Could life get any better? I submit that it cannot! First, I chose the flooring pieces that had the most character and we put them together like a jigsaw puzzle until we got a variegated look that we liked. One they were in place, we numbered them and made cuts to have them fit the plywood base we would attach it to. We glued and nailed them to the plywood with finishing nails and then clamped it together to dry. Once it was dry, we sanded the top to create a smooth finish. Now it was time to put the new countertop on. We cut an additional piece to act as the backsplash to mimic typical counters. The tongue and groove edge would also hold beadboard nicely! As shown in Part One of our farmhouse kitchen remodel, we raised the top cabinets to have our new refrigerator fit our space, which meant removing the soffit as well. Removing the soffit also showcased the scalloped edge at the top of the cabinet. This is the only place where this detail exists, so it helped with the furniture feel I was trying to achieve. To make this piece seem as a stand alone hutch, we didn’t add the soffit back to the top and also left the cabinets detached from the hutch. We added a shelf under the drawer to house the 2nd coffee maker as well as tying in the rest of the kitchen with a beadboard backing. Now time to paint! I was struggling with what to paint it. My initial thought was a funky color, until I found this! Look at that little Piggy! I decided to paint the Coffee Bar the same color as the bottom kitchen cabinets (Sherwin Williams Dovetail) and use pops of color for accents. We primed the cabinets and painted the beadboard white. We stained the pallet-esque counter with Danish Oil. It’s the same type of product you would use to season a cutting board. And now, here’s the final painted piece! We added a light under the cabinet to showcase the beautiful countertop. Since I didn’t add the pop of color as I wanted to to the outside of the Coffee bar, I painted the inside cabinet drawer instead. It looks so nice with that red Piggy! I added other touches of red as accents. This is a homemade frame my Father-in-Law made. I printed off a chalkboard print I created on PicMonkey. The basket holds my everyday coffee and tea needs. More red added with the cute little ribbon. The vintage crates not only look pretty, but also hold my rarely used coffee items as well as manuals and coffee cleaners. Above the bar, I placed some family heirlooms that have been passed on to me. The distillery jug is from 1861 and was found buried in my Great Grand Daddy’s barn! So there you have it! You can turn an unused space into a custom area for your needs! Be sure to follow me below for the full Kitchen Reveal later this week! © 2010-2015 NOTING GRACE. ALL RIGHTS RESERVED. It's such a great use of the space now. I LOVE the piggy handle (red is my favourite colour anyway) and the colour inside the drawer too – just lovely, I would even go as far as to say inspired! very cute! we just moved into an old farmhouse and I can't wait to do some decorating! You have some great ideas! Oh, Jen, WOW. Over from Marty's and soooo glad I stopped to see this amazing transformation. Well done, you guys! WOW!! Hi Jen! You did a wonderful job with your "new" coffee station with not one but TWO coffee makers! Congrats for being featured over at "A Stroll Thru Life" blog party…well deserved. FABULOUS! Did I miss that you also opened a window next to the new coffee bar! You did an amazing job! Thank you Susan! So glad you stopped by! What an amazing repurpose! Great look and fabulous use!! You did good! Saw your "coffee bar" on "A Stroll Through Life" and I had to come take a look. You did a great job! Love the way it turned out! Fabulous…fabulous! From the countertop to the red details…you rocked this corner! Thanks Michele! I appreciate you popping over! Hi Fabby! Part 2 of this series is all about opening that HUGE wall! Thanks for the kudos! Thanks MaryJean! I'm honored that I was featured! Well, come on over!! Thank you Judy! I appreciate you stopping by! OMG what a transformation! Seriously love it!! 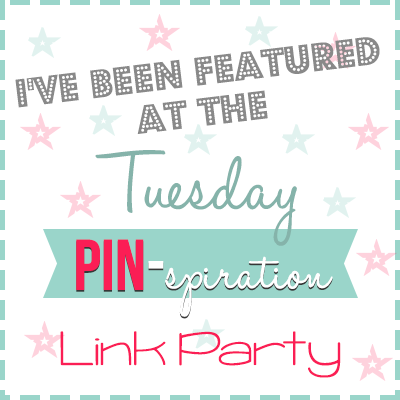 Thanks for sharing at Totally Terrific Tuesday! I love having you around and cant wait to check out the kitchen redo! I am so excited about seeing it right now! I love how the whole kitchen came together, thanks for sharing! What a happy treat to be greeted by this each morning! After seeing your lovely coffee bar, I realize mine needs A LOT of sprucing, maybe a project for a snowy Sunday?